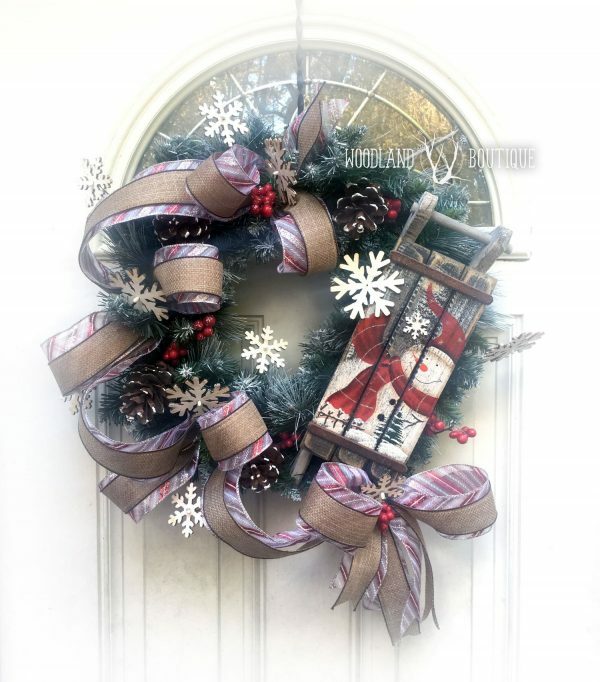 Rustic Sled wreath measures around 20″ across with wispy bits that extend out further. Here, it’s pictured on a 32″ door for scale. Choice of snowman sled or santa sled. 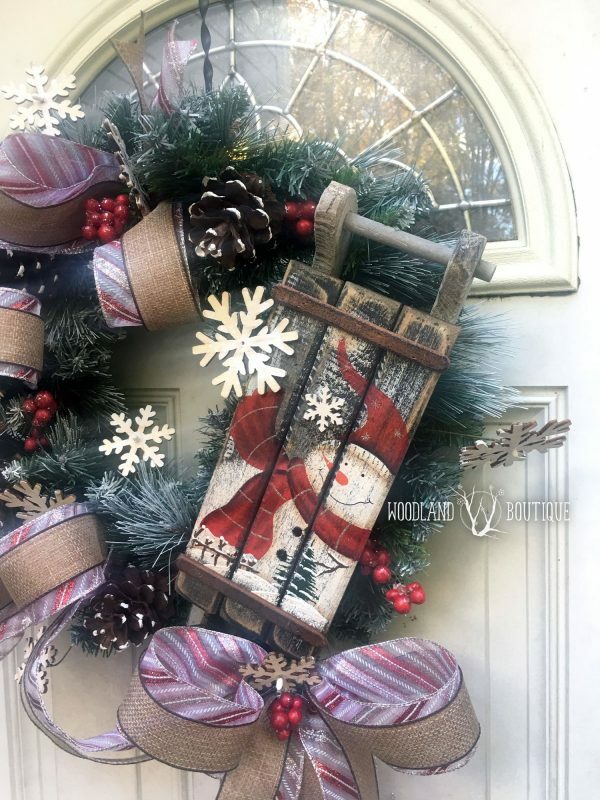 A rustic wooden sled, rustic wooden stars, rustic burlap ribbon— so charming! 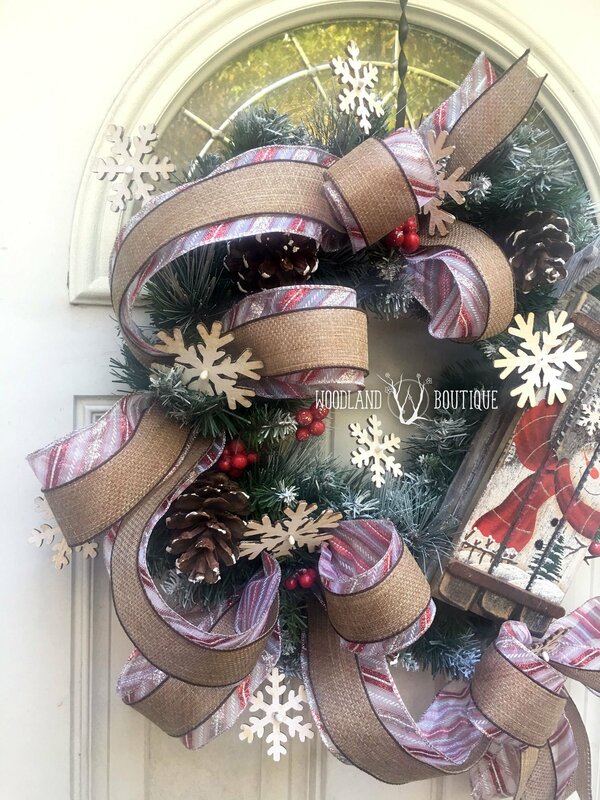 This adorable wreath rimmed with rollercoaster ribbon, pinecones and wooden stars is absolutely adorable with touches of prim.